With the final piece of DLC having been released a while ago, it seemed like the latest entry in the Smash Bros. series was completed and would be seeing no more updates. However, both the 3DS and the Wii U version of the game will be updated to version 1.1.6 soon, Nintendo has announced. As with previous Smash Bros. patches, Nintendo isn’t offering any detailed patch notes, only promising to offer an improved game experience. However, judging by the file sizes alone it seems like the patches on both platforms will bring about a significant amount of changes. 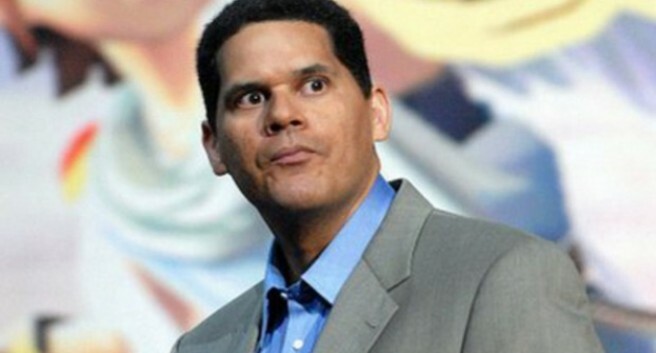 You will need 61MB of free space on Wii U and a whopping 325MB on 3DS to apply the patch. Super Smash Bros. for 3DS is currently on sale over at Amazon. It started out as $40, but can now be purchased for $32. Place an order here if interested. 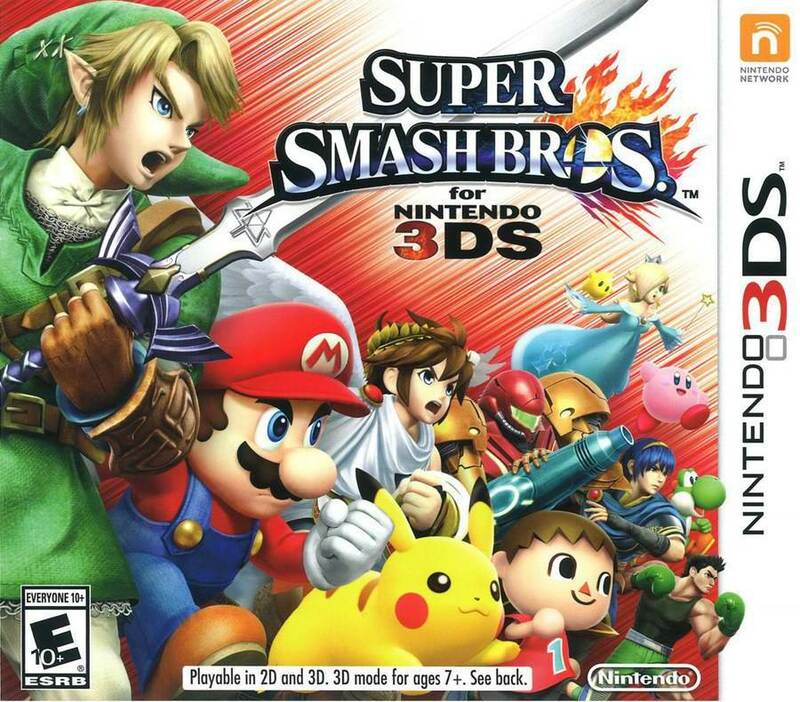 Super Smash Bros. for 3DS is now on sale over on Walmart. It’s down to $25, resulting in $15 savings. Consumers can pick up the game here if interested. As we reported earlier this week, the 1.1.2 update for Super Smash Bros for Wii U and 3DS fixes a glitch regarding Diddy that was introduced in the 1.1.1 update. The newest patch is now available for download. At 21 MB it’s fairly small, so the download shouldn’t take too long. 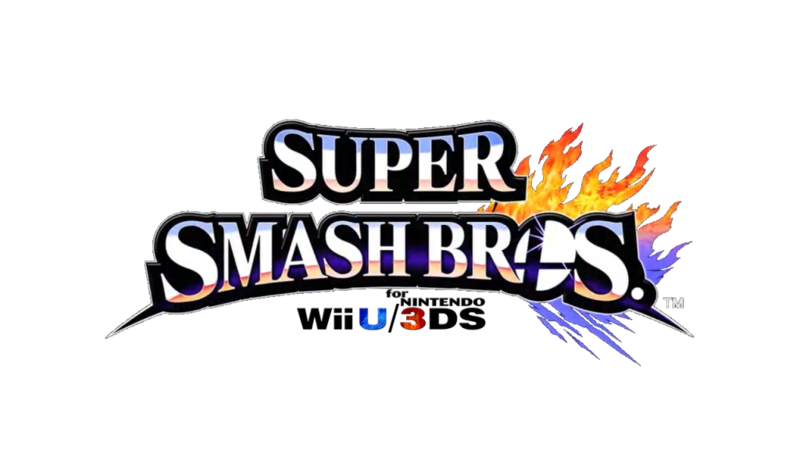 Both the 3DS and Wii U version of Smash Bros. will soon be getting updated to version 1.1.2. 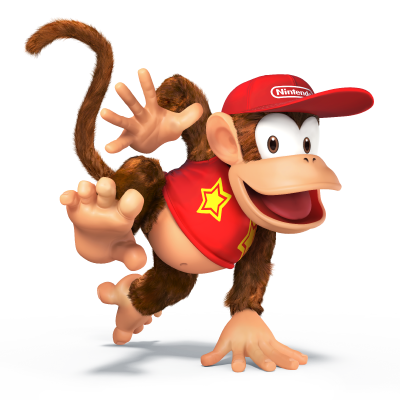 This patch will fix a bug regarding Diddy Kong that has been plaguing the game lately. This glitch was introduced with update 1.1.1 and made Diddy immune to grabs in certain conditions. Nintendo released the first screenshots showing the K.K. 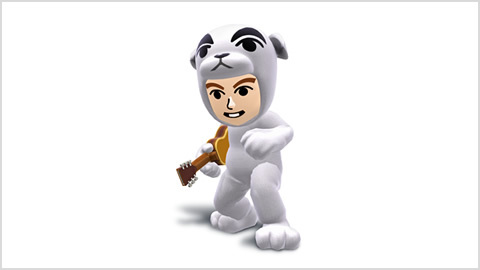 Slider outfit in Super Smash Bros. for 3DS, which will be available for the Mii Gunner. Take a look at them below. Super Smash Bros. first DLC for the much anticipated Mewtwo is right around the corner, and with that comes a new patch and update to both the Wii U and 3DS versions, with the 3DS version getting a significant change. Once you receive your Mewtwo DLC codes, redeeming it on Wii U is pretty straightforward. Just like any other redemption code, simply head on over to the eShop and input the code to access your Mewtwo download. On 3DS however, there’s a new DLC shop being added that you can access directly from the game itself. 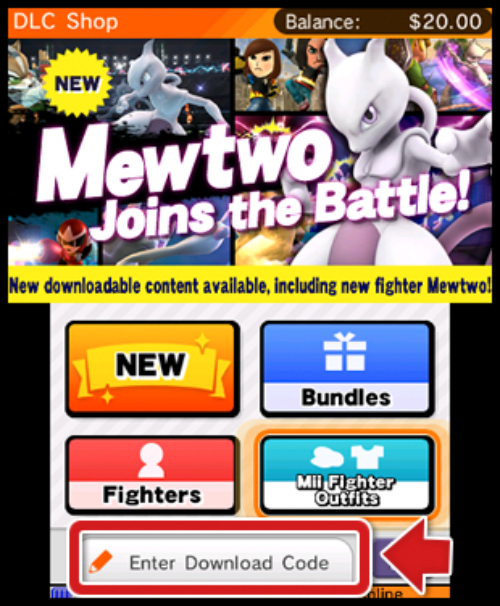 Nintendo just released some screenshots on a new page giving players a step by step walkthrough on how to go about downloading Mewtwo in the new DLC shop. It’s pretty simple; once you get into your game after you’ve downloaded the new update, hit Y to access the ‘Notices & DLC Shop’ menu, hit Y once more to go directly into the eShop, hit ‘Enter Download Code’, input your code and you’re done! How excited are you to see Mewtwo strike back after going on hiatus after Melee? Let the Mewtwo vs Lucario battles begin! Speaking with Forbes, Nintendo of America president Reggie Fils-Aime shared more information regarding the 3DS’ strong success in the U.S. during the month of February. We learned a couple of days ago that 3DS hardware sales are up 90 percent year-over-year. Fils-Aime also revealed that the handheld sold more units this February than the past two Februaries combined. The New 3DS launch was the main catalyst behind the 3DS’ overall boost last month, and Fils-Aime noted that the system drove sales because “consumers are always looking for a reason to upgrade.” Nintendo believes that “making ongoing improvements to a hardware system really pays longterm dividends”.